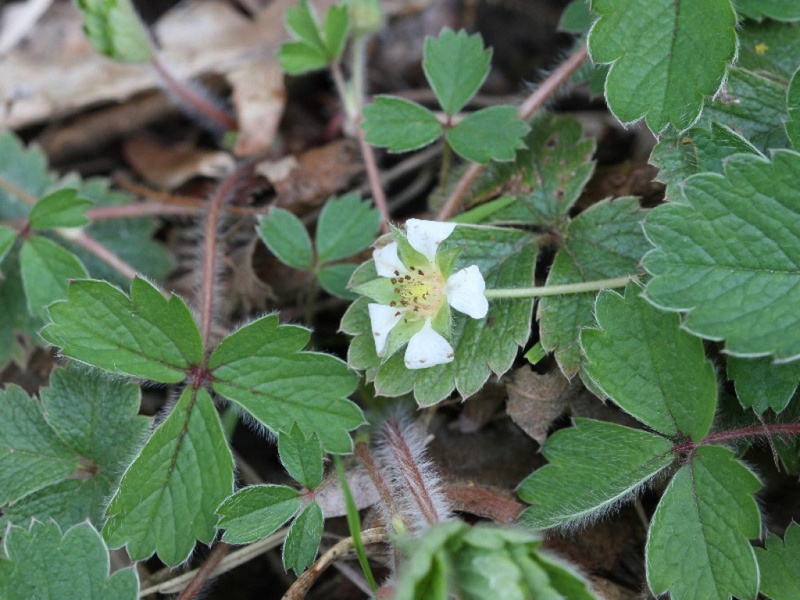 Low, hairy plant with long rooting runners. 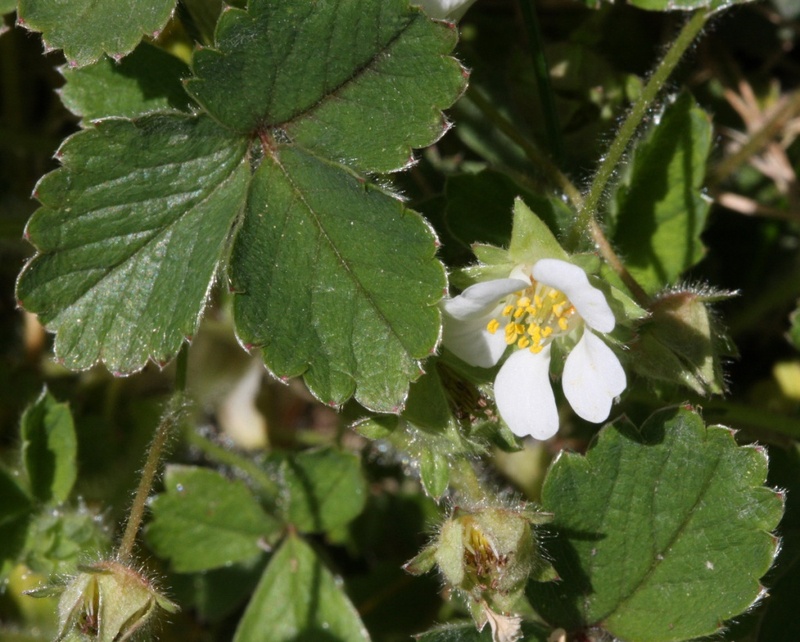 Leaves bluish green, trifoliate, hairy, with long oval toothed leaflets, grey silky beneath. Flowers white, 10 to 15 mm with gaps between the slightly notched petals. 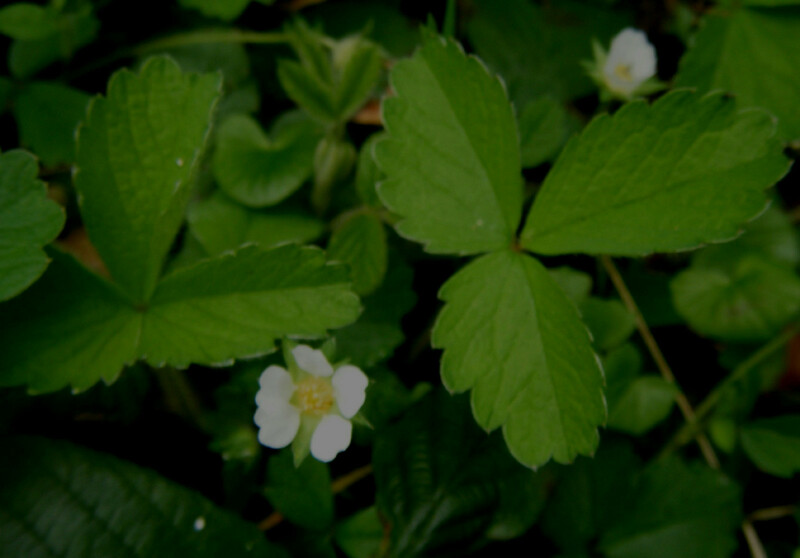 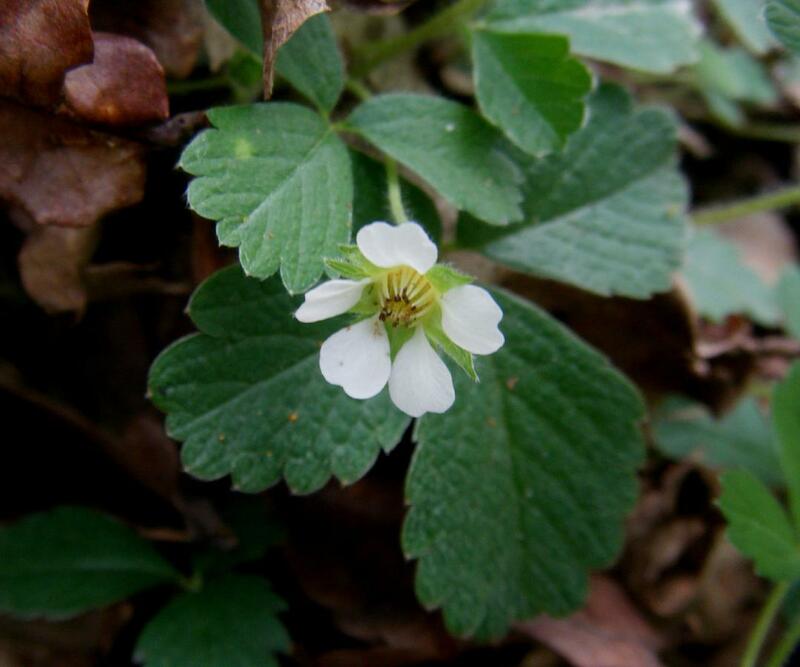 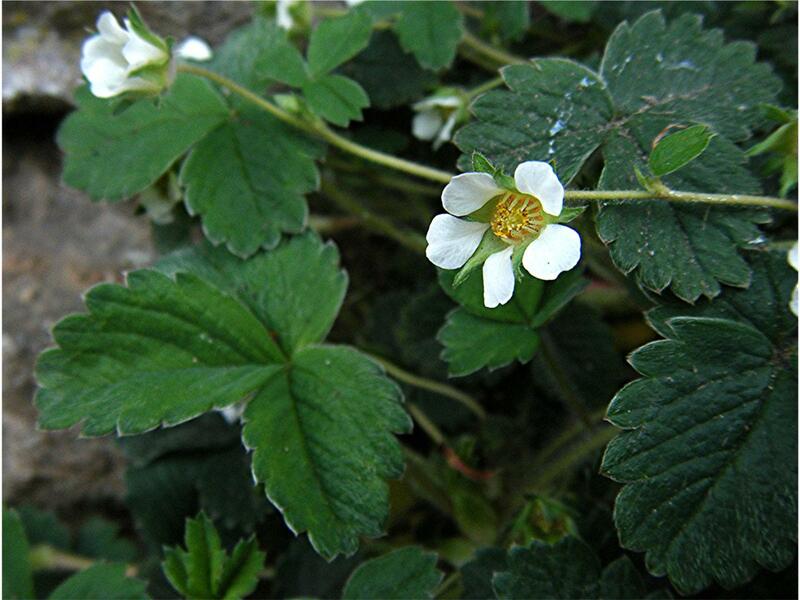 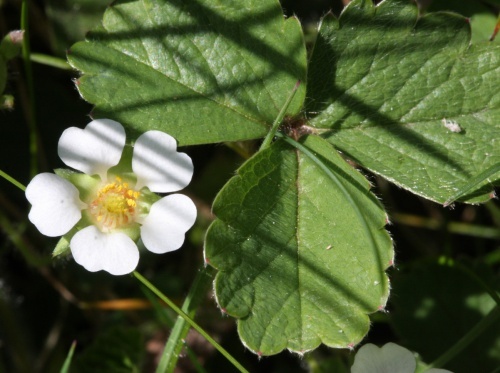 Barren Strawberry can be distinguished from Wild Strawberry by the terminal tooth of the leaf being shorter than those on either side. Dry places, old walls, banks. Fairly common throughout Britain except in northern Scotland. Fairly frequent in Leicestershire and Rutland. 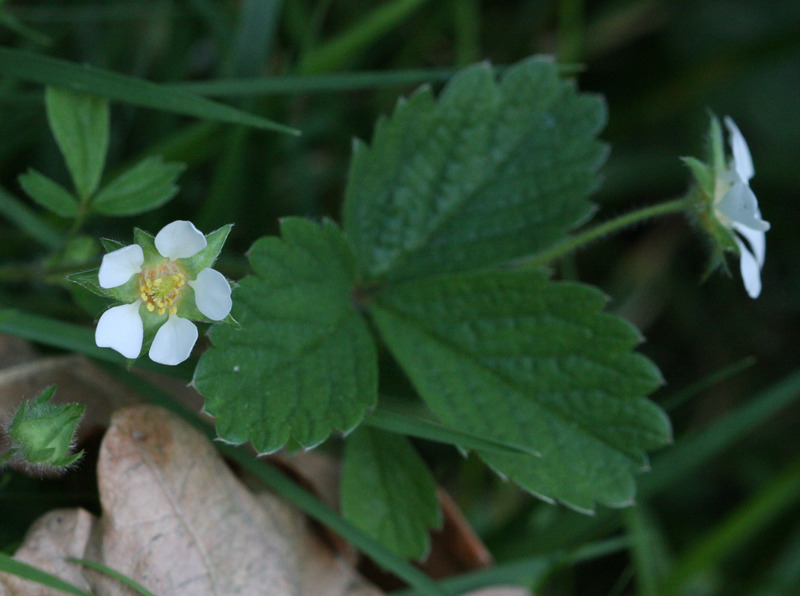 In the 1979 Flora survey of Leicestershire it was found in 100 of the 617 tetrads.